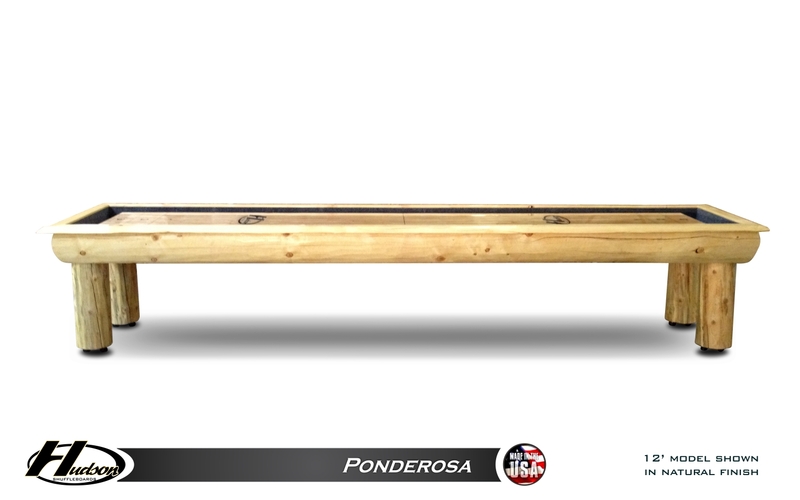 Nothing is more American and heartwarming than a classic log cabin. 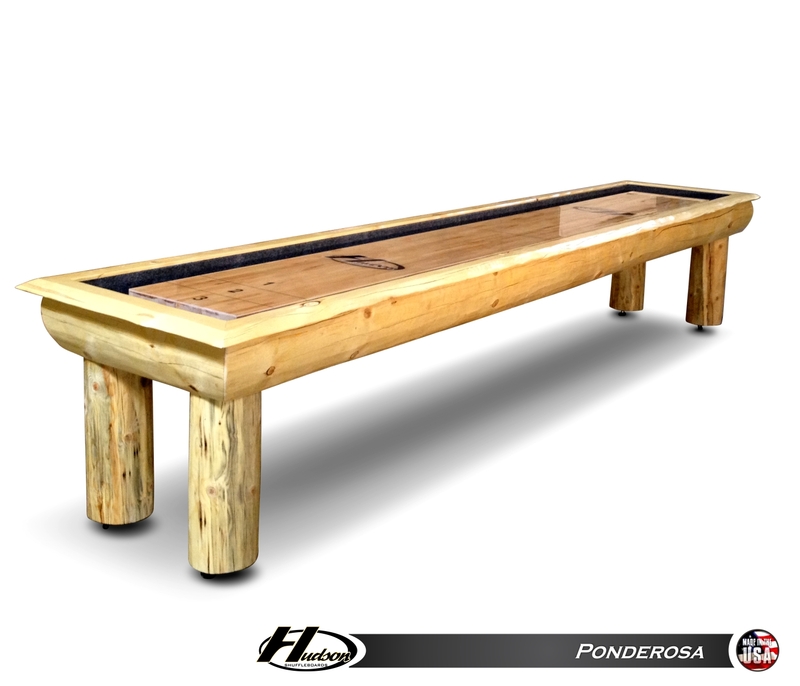 The 12' Ponderosa shuffleboard table from Hudson shuffleboards lets you bring log cabin warmth right into your bar or game room no matter where you are. 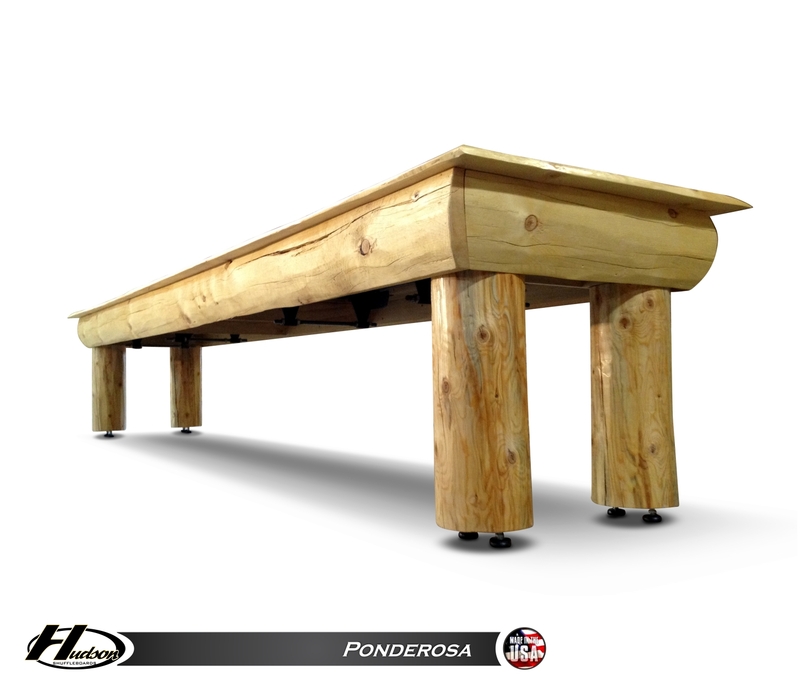 The Ponderosa's big log cradle and hearty style are certain to turn a few heads. 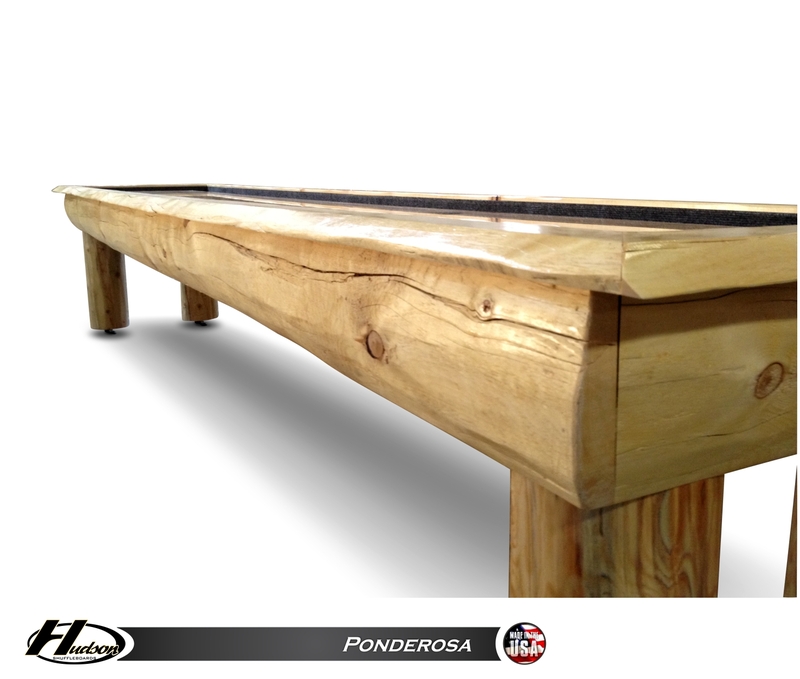 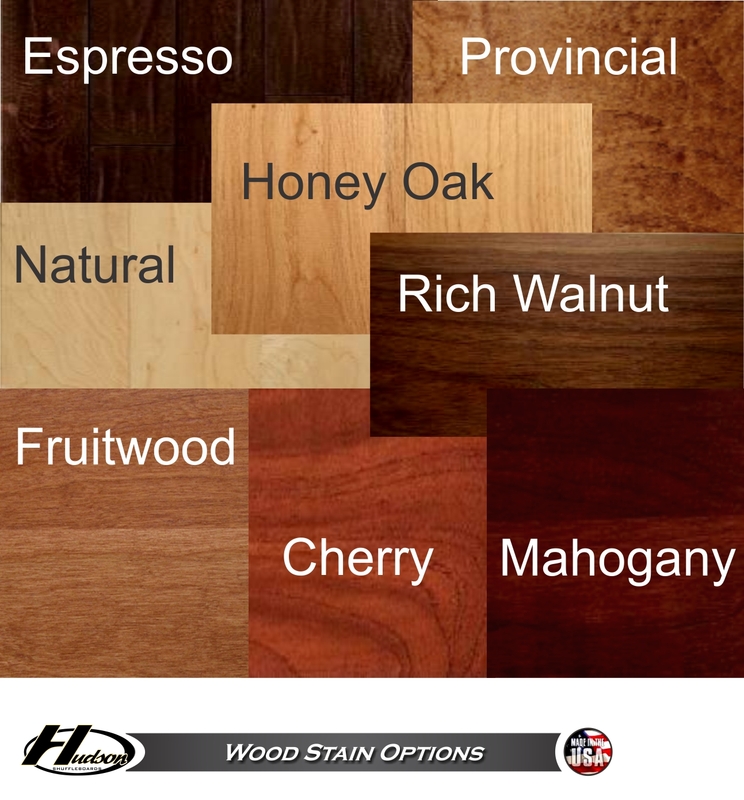 Each Ponderosa is custom made to order in the USA and is constructed of 9" diameter solid kiln-dried knotty pine, which can be finished in custom stains. 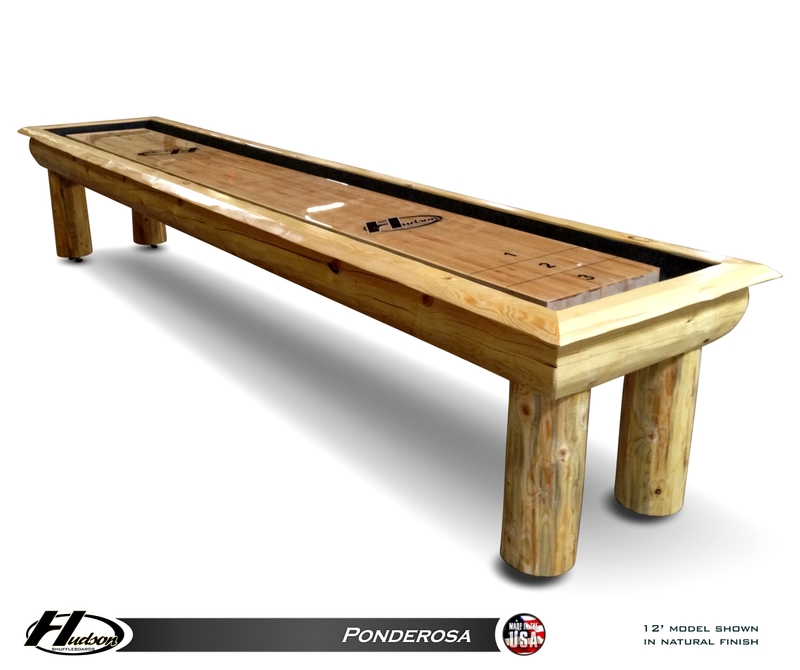 The playing surface is constructed of select kiln-dried Hard Rock Maple and topped with Hudson's exclusive tournament level Polymer Finish. 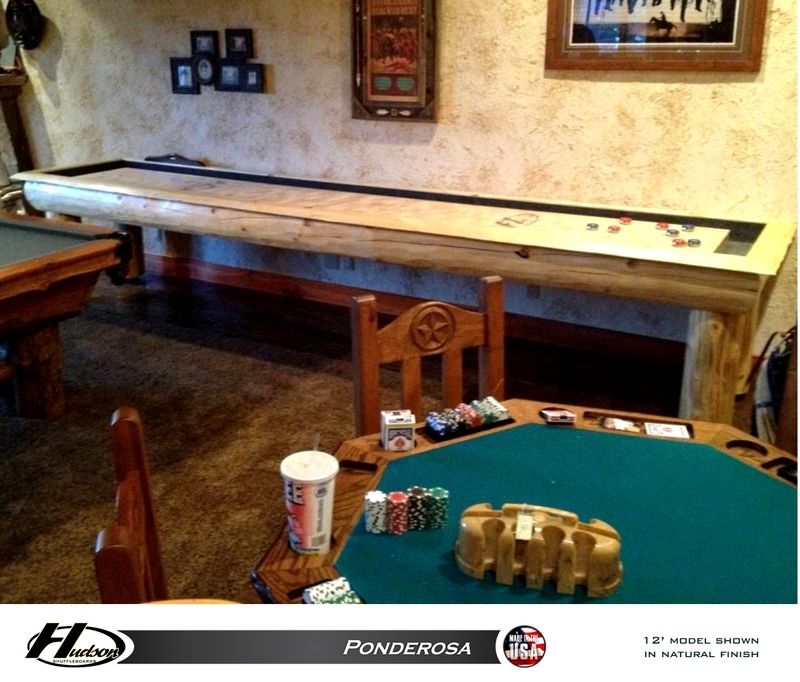 Bring frontier style into your entertainment space and order the Ponderosa today!